In the construction and homebuilding business just short of two decades we are fully committed and take an aggressive approach to continually provide our clients with superior craftsmanship, unparalleled technical ability, relentless attention to detail, and outstanding value. By building exceptional working relationships with the finest craftsman, suppliers, and subcontractors we have been able to secure a stable position in an unforgiving market. Drawing upon our experience in the trades, we are completely dedicated to our clients and our finished product regardless of size or scope. From the onset of my career I have always believed certain, simple principles would foster a fruitful business in any market condition. The honesty, integrity, dedication, and teamwork I have built my business upon has not only become the key to our past successes, It will continue to be the building blocks of our future. The construction and homebuilding process requires a long-term and lasting relationship. Let us forge this together, as a team. Our homes are Built by Moms who know how Families Live. Building family and environmentally friendly Greenwich CT homes. A. Crane Construction has been serving Western Massachusetts’ construction needs since 1988. We build custom homes, additions, and renovations for homeowners according to their family’s needs and desires. Oak Street Design & Construction, Inc.
Building fine new homes, thoughtful restorations of period structures and restorations of neglected properties have been our focus since the beginning. 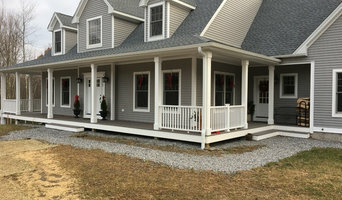 With over 25 years experience in home building/renovation, an A+ rating from the Better Business Bureau and the respect of the building officials in the towns we work in, we are well qualified to meet your needs. If your next project is small or large, we pride ourselves on giving more for less. We are constantly on the lookout for challenged properties. Neglect, financial challenges or structural issues are not a problem. If you know of a home that is in foreclosure or is challenged in any way, please let us know. We buy homes of any size and can act quickly for the right opportunity. Please e-mail me at oakstreetdesign@hotmail.com if you have one you would like us to look at. Thank you for taking this opportunity to let us win your trust and a lifetime of working together! We take pride in our work and completing every project, no matter how big or small, with the utmost of quality and attention to detail leaving no loose ends or any job unfinished, treating every project as if it were our own. We maintain customer satisfaction as our number one priority, and we uphold our motto “done right the first time” 100% of the time. We warranty all of our workmanship for as long as you own your home, and will see to it that any defect in the products we install, which typically carry their own warranties, are attended to through our suppliers and or the manufacturer, if either is ever an issue we will address and rectify the situation promptly, professionally, and in most cases at no additional charge. Fine Home Builders Serving Glastonbury and Surrounding Towns since 1984. George and Arminio Catarino began their business in 1984. Their inspiration came from a background of craftsmen originating from Portugal. 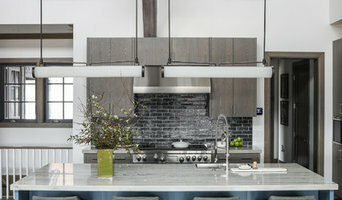 After gaining experience in custom additions and renovations, they entered the market of luxury homebuilding in Glastonbury, CT. Only true master craftsmen dared to erect large-scale homes on speculation. Knowing that their vision of quality and pride in workmanship would produce a home of such impact that even under difficult market conditions, they carved a niche for themselves as respected and honest quality builders. Today their beautiful homes can be seen in numerous upscale neighborhoods. Every customer can be contacted as a reference, which gives testimony to their continued effort to combine quality workmanship with quality relationships, truly a rare achievement. Cameo Builders is passionate about building your dream home. We were established to provide the highest quality construction at a fair price.Our project team has decades of experience that translates into beautiful finished projects. Every person on our team was chosen for their outstanding work, excellent communication skills, and being all around great people. We are very proud of our team and we think you will be too. 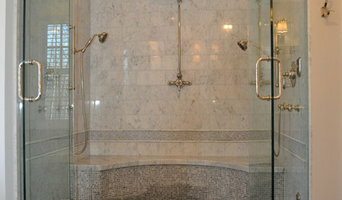 We specialize in the restoration and care of 18th and 19th century homes. Licensed in Westchester and Putnam counties, Makerhands Woodworking has been providing superior craftsmanship to the Hudson Valley for over 30 years. Whether you have a small project or a full restoration, we provide the knowledge and skill necessary to meet the challenges unique to antique homes. Heine Development Corp was established in 1979. 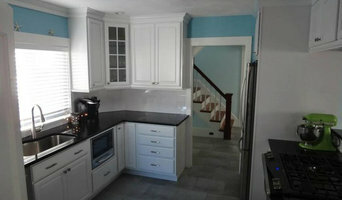 We build and act as construction manager on both new houses and remodel of existing houses. We have won numerous awards. We always emphasize high quality, hands on, professional work.